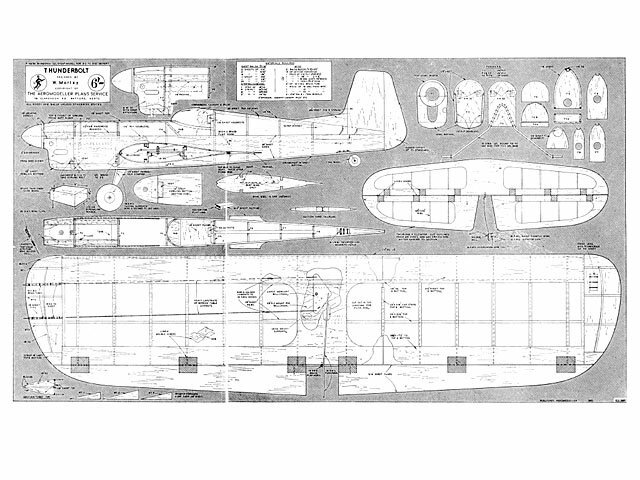 Parts Set for the Thunderbolt originally designed by Bill Morley from Aeromodeller August 1955 Wingspan 49in span. 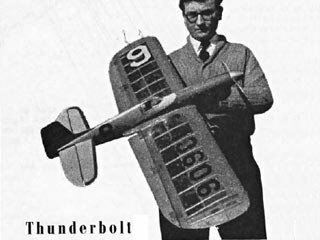 The Parts Set includes all the shaped balsa and plywood parts required to build the basic airframe, saving the builder the time and effort of transfering and cutting parts by hand. Wing ribs, fuselage sides, tail & elevtaor outlines, formers, bulkheads, fin/rudder. bellcrank mount, flaps and some smaller parts are all laser cut as per original plan. Builder needs to supply original Aeromodeller plan and stripwood/covering.